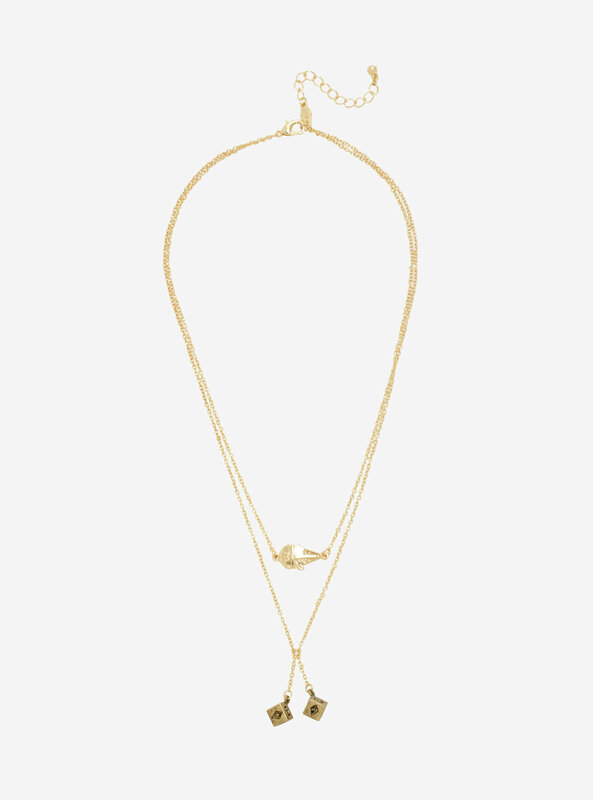 This neat Solo themed layered necklace is now available at Hot Topic. 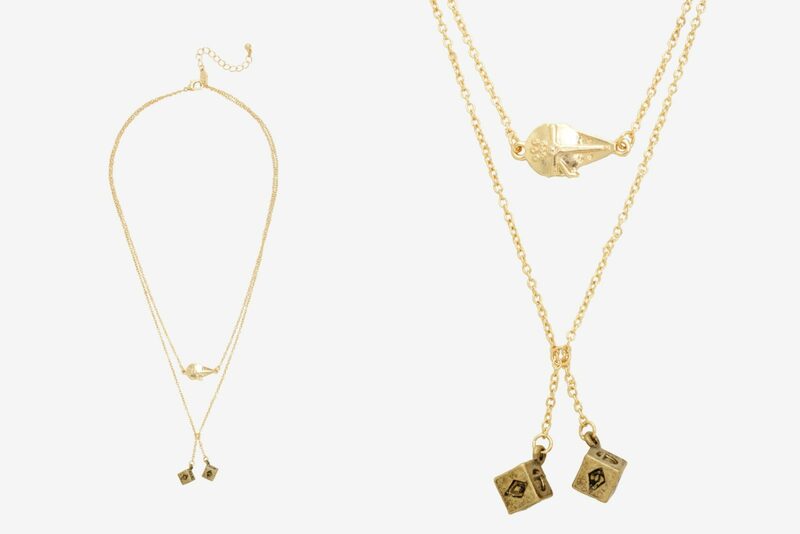 The gold-tone necklace features a two-chain design – the first is a shorter chain with Millennium Falcon pendant, while the longer chain features two dice pendants. 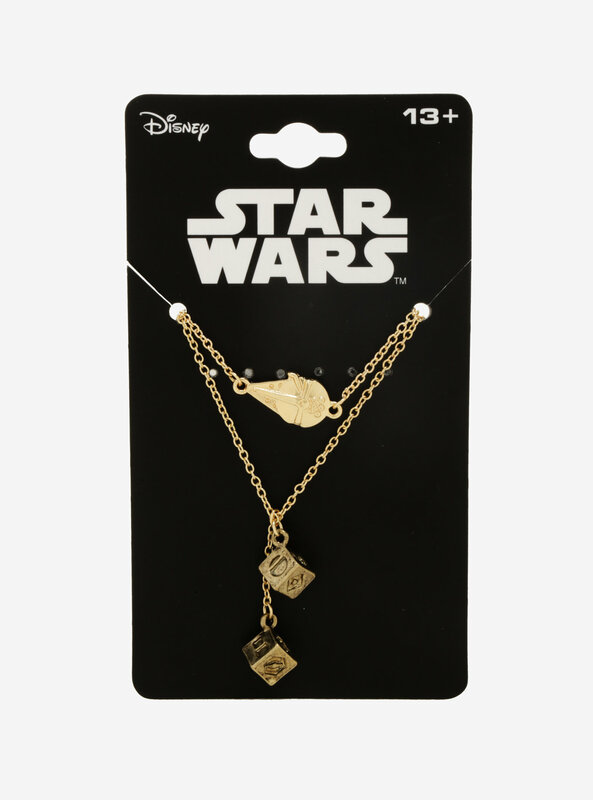 The necklace measures 16″ long with 2″ extender – the Millennium Falcon pendant measures 3/4″ x 1/4″. 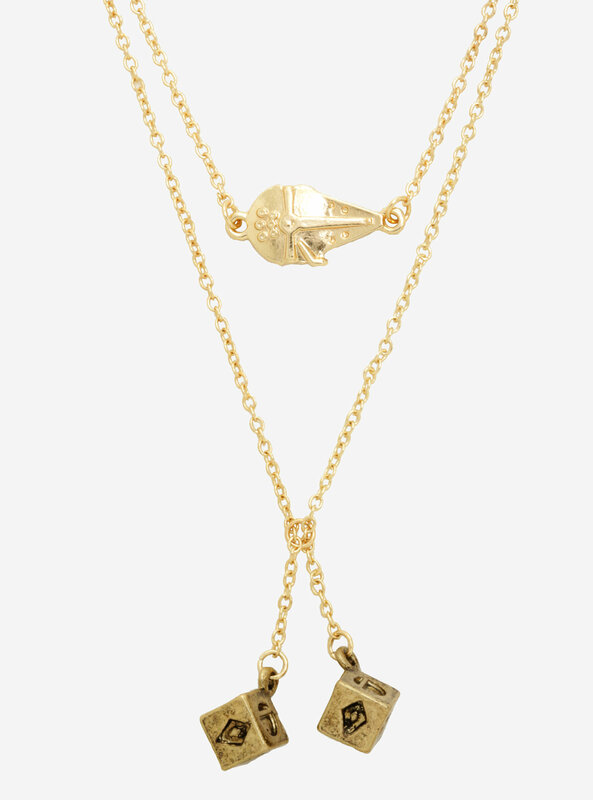 This necklace from Star Wars features two layered gold tone chains featuring Millennium Falcon and Han Solo dice charms. The necklace is priced at US$12.90 each – Hot Topic can ship internationally, which is great!